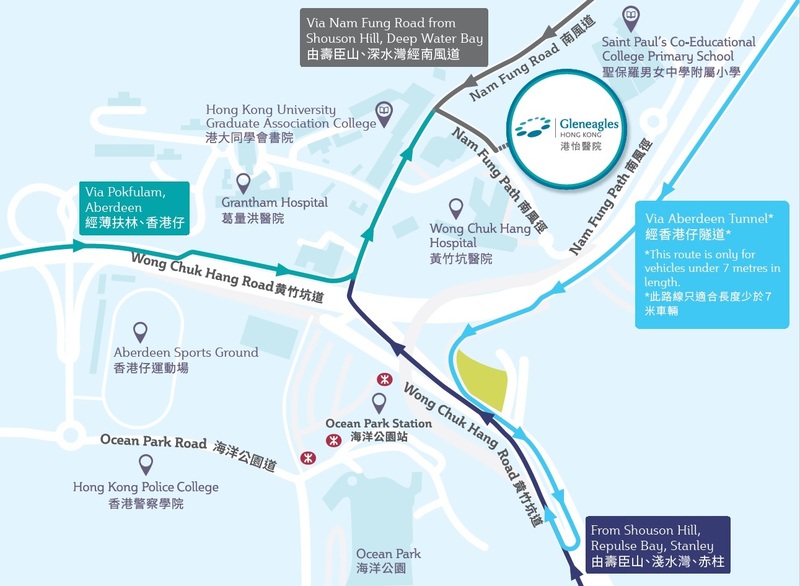 Gleneagles Hong Kong Hospital provides free shuttle bus service for public between MTR Ocean Park Station (Opposite to Exit A) and the hospital (main entrance). * For vehicles longer than 7 metres, please refer to this map. Parking is available at $25 per hour. 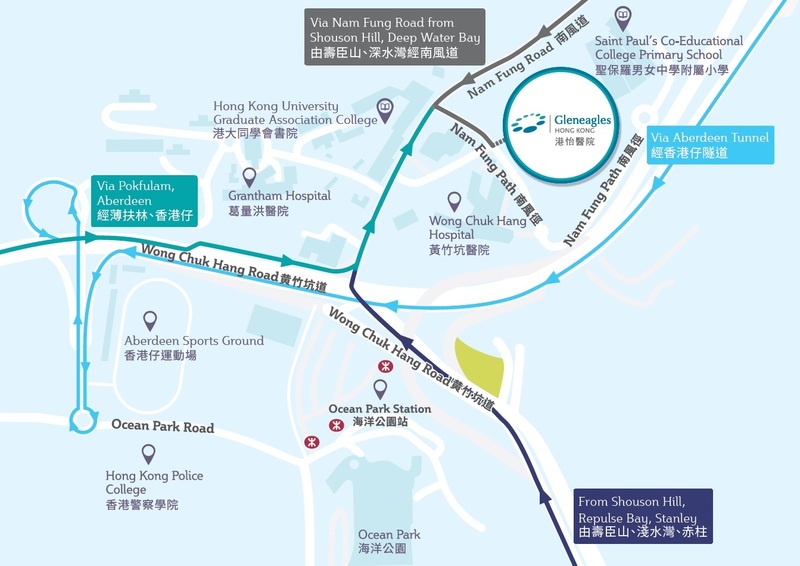 Gleneagles Hong Kong Hospital is within walking distance from various bus stops along Aberdeen Tunnel / Wong Chuk Hang Road and Nam Fung Road. Available bus services along Aberdeen Tunnel / Wong Chuk Hang Road include: 37B, 37X, 38, 42, 42C, 70, 72, 72A, 75, 77, 90 and 90C. Available bus services along Nam Fung Road include: 36, 41A and 76.